Stanisław Rogalski (1904–1976) military pilot, engineer, aircraft designer and co-founder of the engineers’ team RWD. Lecturer of Warsaw University of Technology and Universities in Erie and Princeton in the United States. 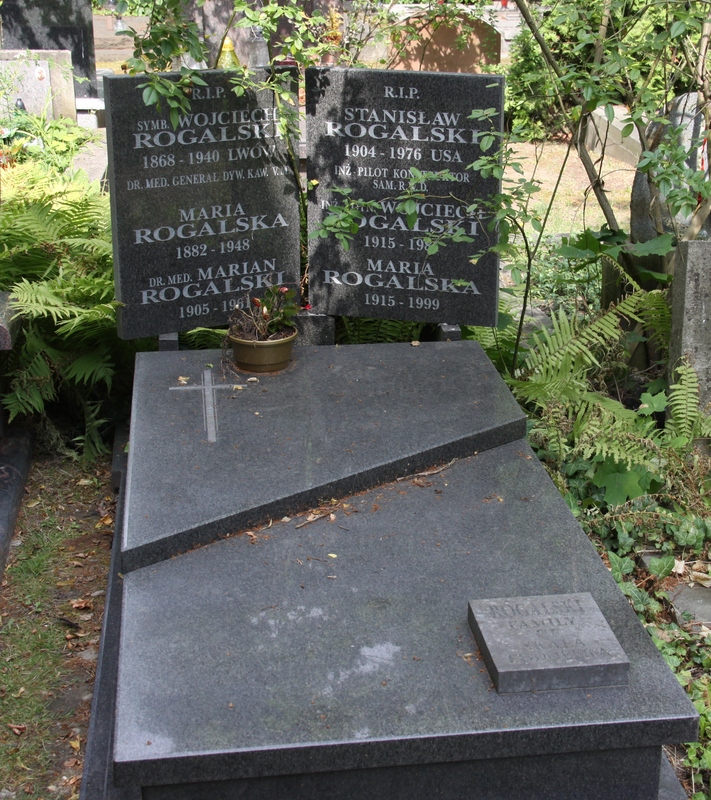 Stanisław Rogalski was awarded the diploma of a mechanic engineer of Warsaw University of Technology in 1929. A year later, together with Jerzy Drzewiecki, Stanisław Wigura and Jerzy Wędrychowski, he established a partnership called Doświadczalne Warsztaty Lotnicze (Experimental Aviation Workshop). Until the start of World War II the workshops built 23 types of RWD airplanes. Some of them, like RWD-2 and RWD-4 models took part in the International Touring Competition in 1930. On his RWD-5 Stanisław Skarżyński flew over the Atlantic Ocean and Franciszek Żwirko together with Stanisław Wigura won International Tourist Plane Competition in RWD-5 bis airplane in 1932. 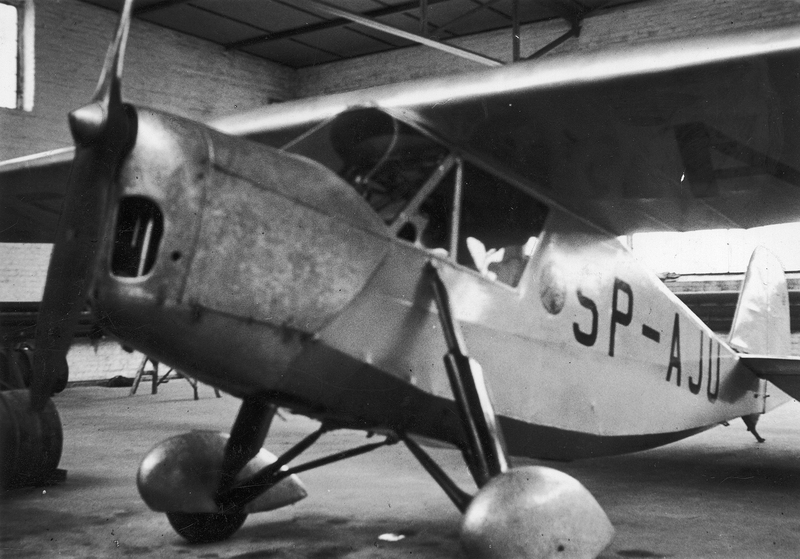 Two years later in the same competition Jerzy Bajan and Gustaw Pokrzywka claimed the first place flying the RWD-9 airplane. In the United States he also worked as an academic lecturer. In the years 1954–1968 he used to give lectures on applied aerodynamics at the Erie and Princeton universities. (USA). The ashes of Stanisław Rogalski were brought to Poland and buried at the Powązki Cemetery in Warsaw. 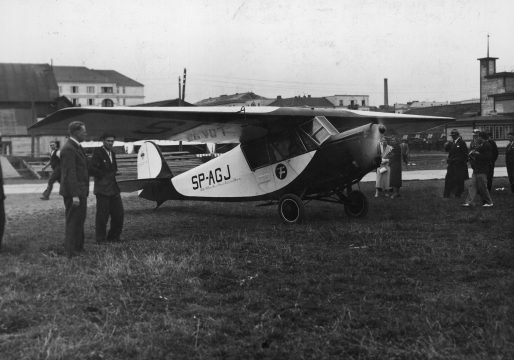 Polish Team — engineer Stanisław Rogalski and dr. Kajetan Czarkowski-Golejewski — departing by RWD-5 airplane to the “Weekend Aerien” competition in London. 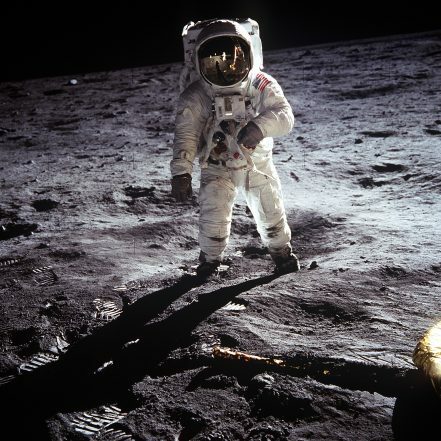 Buzz Aldrin on the Moon and the Lunar Module (LM) “Eagle” during the Apollo 11 extravehicular activity (EVA). Astronaut Neil Armstrong, commander, took this photograph with a 70mm lunar surface camera. While astronauts Armstrong and Aldrin descended in the Lunar Module (LM) “Eagle” to explore the Sea of Tranquility, a region of the Moon, astronaut Michael Collins, command module pilot, remained in the Command and Service Module (CSM) “Columbia” in lunar orbit. The flight over the south Atlantic Ocean by captain Stanisław Skarżyński. Participants of a meeting in the Ministry of Communications. Sitting, from the right: lieutenant colonel Bogdan Kwieciński, Minister of Communications Michał Butkiewicz, captain Stanisław Skarżyński, lieutenant colonel Czesław Filipowicz. 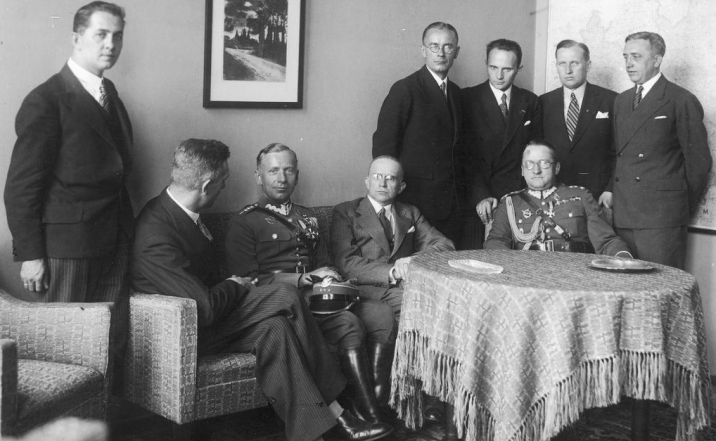 Standing from the left: constructors Jerzy Wędrychowski, Jerzy Drzewiecki and Stanisław Rogalski, captain Piątkowski, Head of secretariat of the Minister of Communications: Gustaw Rożałowski.